(Original posting from May 12, 2013): Good news! You don’t need a co-signer to buy strawberries – they are in season and affordable! I bought a 2 lb. box today for $4.99 and made my scrumpdeliumptous Fresh Strawberry Cake. How does it taste? It’s like the angels came down from the clouds with a gift from the heavens! One bite and it simply melts in your mouth… it’s that good. 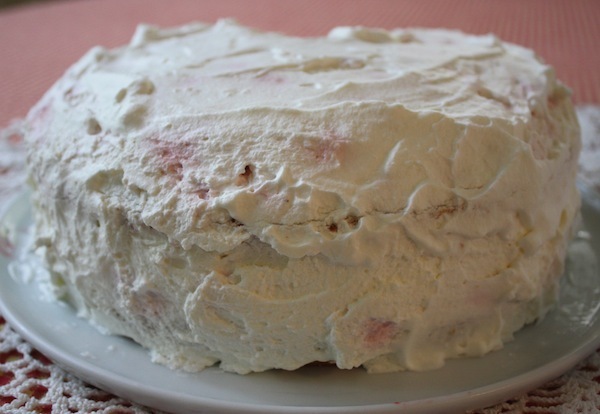 46 Comments on "Fresh Strawberry Cake"
Want to make this recipe and do just the cakes ahead of time and refrigerate. Then finish another day. How long can I refrigerate the cakes prior? Making today for my mom, it’s Mother’s Day!! Thanks for this receipe. Excellent cake. Light and not too sweet. My 4th time making it. Like a strawberry shortcake but much better. The 2 cups of heavy cream is a must for me to cover the cake. I’ve made this cake a few times but have never had luck with layer cakes (just a personal thing) so I”ve made it as a 9×11. I put all the strawberries on top and kept it in the pan (it was traveling to work as a special treat) and layered the whipped cream on. This made it scrumptious ratio of cream/berries/cake as well as easy to store in fridge and travel to work. 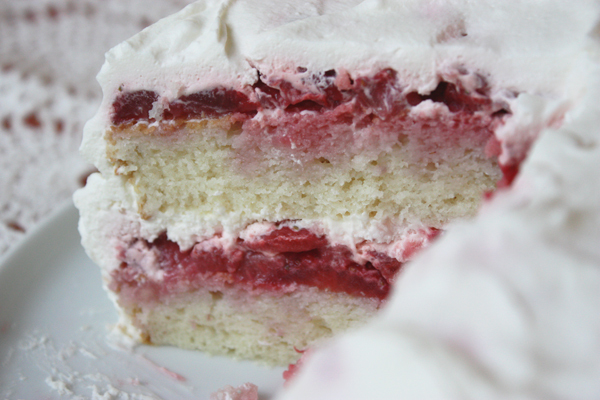 Not as fancy as a layer cake, but OMG….very delish just the same. My cake did not rise very much. It has a good taste but is more dense. Is this the way it should be? Check the expiration date on your baking me powder? If your baking powder is fresh, be sure to follow the recipe exactly, with the same size of pan, and with all your ingredients at room temperature (except the whipping cream of course). This cake should not be dense. 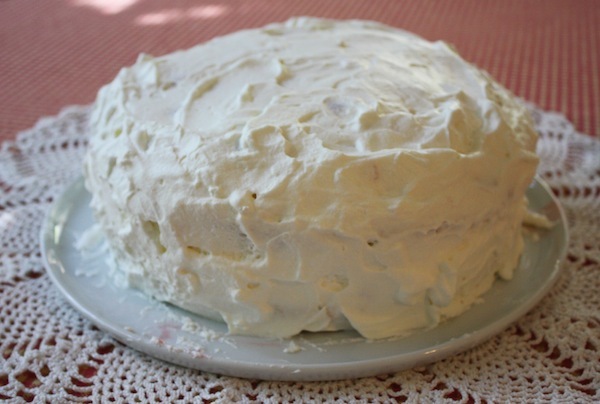 This year asked for a strawberry cake …..
I’ll let you know how it turns out ! G’day, love this cake i have made it twice so far. my husband doesn’t like strawberries, loves this cake, he’s hooked on it. Thank you for sharing. P.S as far as Jim is concerned, he doesn’t know how to follow directions, if he did, he would find this cake amazing, like all the POSITIVE feedback that you have and are receiving. 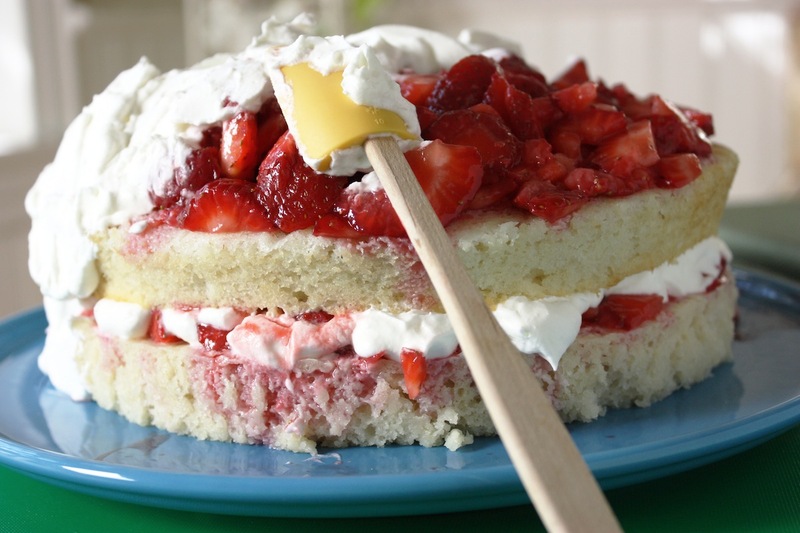 Need more recipes like this fresh strawberry cake. I have made lot of your breads and even the banana cake and they were all awesome. But something was wrong with this cake. The cake itself was extremely sweet which surprised me because all you baking goodies come out perfectly with they advised amount of sugar but this cake was insanely sweet. The other thing was that when i whippedup the heavy cream with sugar it it turned nicely like icing and hard but once i finished in the first layer of the cake and moved on to the top layer to work, the whipped cream started to turn into liquid again and drizzled all over the side of the cake. It turned into a mushy cake and some some of my friends still loved the taste but i found this cake extremely sweet. It is also on the unhealthier side compared to mos of your other recipes. The amount of cream thatis called for alone has over 100 grams of fat (most of it saturated) and the amount of sugar in the cake is insane. I am going to try this cake again with half the sugar and just with the strawberries and perhaps top the serving slice with some store bought whipping cream. How rude are you? The lady posted this recipe for others to try. You have stated you tried, and it was too sweet for you, you sound like a sour person who needs some sugar. There are ways of leaving comments and yours was rude, yes i said it again. you owe that lady an apology for how you came across in your comment! and after all that you are willing to try again, you’re kidding right? oh please. There have been many sites I have visited for recipes and not all of them came out very good at all. It’s not life ending, it just didn’t work out for me so, I let it go and move on without the “need” to state my case. Some things are better left unsaid, especially when the recipient of your thoughts has only the best intentions. The old adage, “You can’t please everyone” is an old adage for a reason. It’s true and that’s okay! btw, store bought whipping cream is not healthy. 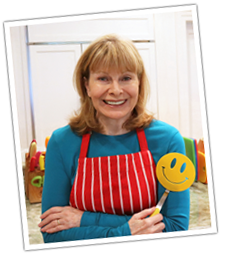 Perhaps you can start your own blog and share your healthy recipes with us! Peace Jim! Made this for birthday/retirement celebration. Excellent recipe. To keep the strawberries from weeping, I added a cornstarch slurry to part of the strawberries and cooked until thickened; than added the majority of the berries. I also stabilized the whipped cream. I used a 9″ springform pan as a previous reader had. This cake could have stayed in the refrig for several days without any noticeable change. I plan on making this cake for an annual event we host every June for between 40-60 people. I plan to put in a 9×13 with the same process. A true winner. My grandparents came from Poland…although I had only seen them but twice, I had heard about her pierogies. She used dry cottage cheese for the filling. I am anxious to try your recipe for the pierogie dough. It will definitely be made again when I want to show off at the reunions! I made this cake for daughter and I could not get the whipping cream stiff enough…so I added powdered sugar and that still didn’t work. The end result was I just drizzled the frosting over the whole cake and it was a huge hit. My neighbor now wants the recipe and it is a MUST to make it again. I have never known real whipping cream not to thicken if beaten. Next time be sure it’s not half & half but only “heavy whipping cream” and give it a few minutes – it should thicken up nicely. I make it all the time. The whipping cream – is this liquid whipping cream like you would find in the milk section of the store or whip cream like Cool Whip in a tub?? It’s liquid whipping cream – I never Cool Whip. I like to make my whipping cream as stiff as possible like a bakery cake. I came across a suggestion on the web and it worked great. I put instant vanilla pudding in the whipping cream. Google it and get the directions. I too would like to use a box cake mix, how did it turn out? Did ou use round cake pans or flat oblong pan? do it myself. Thanks for this recipe, I’m always collect good recipes. You need to let people know that you have used mayo instead of oil. I am someone that is allergic to vinegar and mayo has vinegar in it. I have eaten some desserts and never could figure out why I broke out in hives, this could be why. Do I really have to use buttermilk? I have none. All of my recipes are better without changes so if you can get real buttermilk I suggest you use the real thing. If you can not find it, please see the “Substitutions” in my blog. Can this cake be frozen? I have bought frozen whipped cream cakes in Illinois. I have never frozen it so you may have to research that online. Please report back if you do freeze it – thank you. would it be best to build the cake the day before? also, if i were to put a thin layer of cake on top before i put whipped cream topping would that help with the color bleed from the strawberries? It it not best to build the cake the day before so do it only if you have to. But you can bake the cakes the day before and then finish the day you are serving. Also, putting a thin layer of cake on top of the strawberries does not sound like a good idea because the strawberries need to infuse down into the cake and since it’s on top of the berries, it would not get soaked with the berries. I think it would probably interfere with the experience of cutting into the super soft top consisting of whipped cream and berries. I hope that helps. I dont know what I did wrong, cake turned out pretty stiff. Could I have over beaten the egg whites? The egg whites were not room temperature when I added it to the creamed butter mixture. The cake came out with brown edges and with a lot of small “holes” inside the cake. Baking is an exact science and even the smallest change can cause a recipe to fail. First, I want to make sure you did not beat the egg whites separately but just added them into the batter. Other than that, there could be a number of reasons like not using real buttermilk, expired baking powder or baking soda, not alternating the additions at the end, oven was too hot, pans were dark, or even measuring flour without aerating it first. Let me know if you think any of these might be the problem and I will try to help. Have you thought about layering this in a spring form pan? I never have but since the sides are frosted, it seems that a regular plate would be better. I made this cake on Saturday for Mother’s Day. It was requested by my family. Every year I make dinner and desert so my mom and sister don’t have to. I made homemade baked ziti, salad, Italian bread and your awesome cake! Everyone loved it. My mom called me this morning at work to thank me for everything and she said she had some for breakfast!! 🙂 Best cake ever! I have made this recipe before and it is everything you say – my family loves loves it! They ask for it on birthdays. Please do more cakes like this.